So I've tried marbeling techniques in the past because I really love the look, but I've never been successful until now. The secret was the paper. I did the background panel for this card using the shaving cream + alcohol ink method (check youtube) and finally came to realize that you need a paper with good ink absorption, vs a smooth / glossy paper you would traditionally use with alcohol inks. For this one I just did one color, but you can do multiple for a really interesting background as well. For my images I stamped and colored using one of the few Chameleon markers I have. I really want to like these markers, I just don't. A lot of extra work and effort, I would rather spend the money on copics, but that is of course a personal preference. To finish I stamped and heat embossed my sentiment onto some vellum, which I wrapped around the card from and adhered onto the back before adding the panel onto a gray a2 sized card base. Hi Everyone! Phew - Two posts for today... A little behind due to a small hospitalization. Something must be in the air, lots of people with chronic multi-day migraines going on, myself now including. But a little IV anti-inflammatory and good as new. But enough about me lets get to the crafts! When this stamp set arrived I knew exactly what I wanted to do with it, embossing the whole thing. So I stamped it down in Versamark and covered it with Ranger Gold embossing powder. I repeated the process for a 2nd layer. After the embossing cooled I stamped the inside images with some Hero Arts inks and fussy cut the image out leaving a small white border. I then layered the card up with some navy card stock and a scrap piece of patterned paper I had laying around. And there ya have it! Thanks for stopping by today! 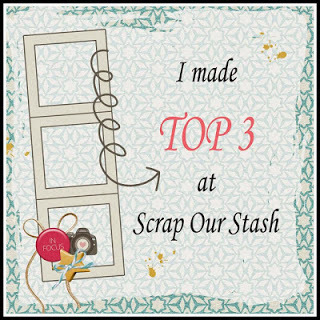 I hope you'll join me on my crafty journey, find more crafty fun on my Instagram and Facebook Page! Hi Everyone, Here's a card I did over at the a2z scrapbooking blog with the new 2018 Hero Arts Holiday release! I went a little die crazy with this release buying a bunch of the new fancy dies and had to get ahold of this "Holidays" sentiment. I like to do "Happy Holidays" cards more frequently for the ones I'm going to mail, because chances are they aren't getting sent on time. So if they get there by New Years I'm still in the clear! For this card I started by just ink blending a background panel with some distress oxide inks, I knew I wanted to do something utilizing the snowflake fancy edge as a frame/border. The die is 5.5" long, but I decided to trim it down to use horizontally on a top fold card. 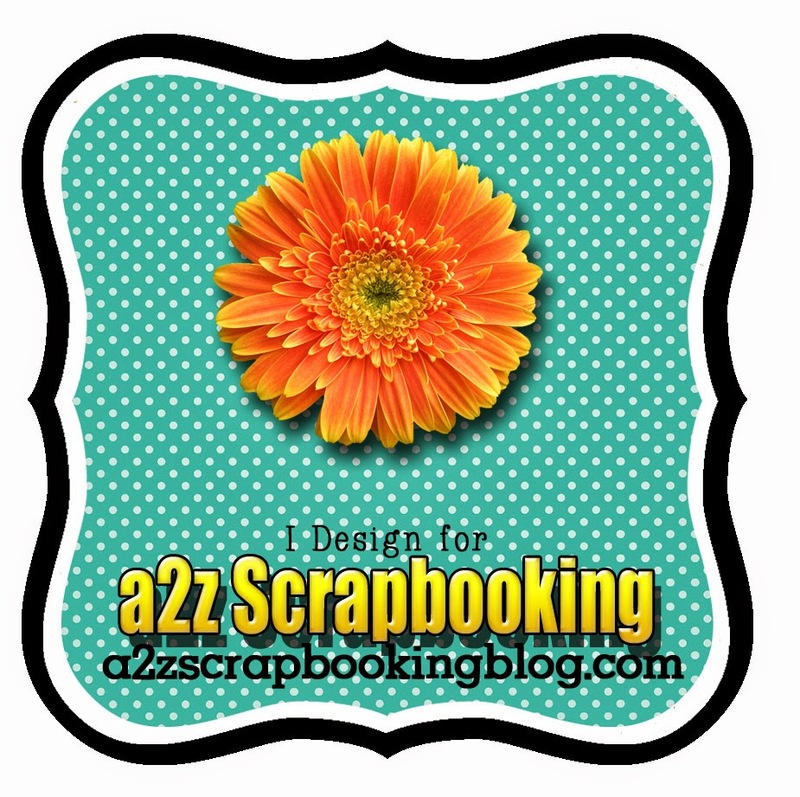 a2z scrapbooking is looking to add to their design team, we need both designers and are seeking papercrafters of all kinds as well as someone with some basic technical experience running the wordpress blog, light graphic creation, etsy experience is a plus. 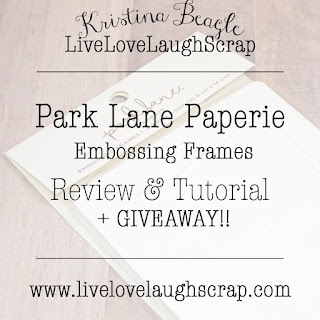 New Park Lane Paperie Embossing Frames Review, Tutorial, and GIVEAWAY! 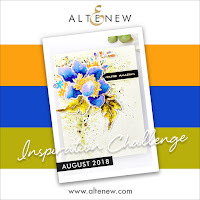 Joann Fabrics stores have been making some changing to their paper crafting departments, which now include a new line of product from "Park Lane Paperie". In a you get what you pay for world I typically avoid the discount / store brands when it comes to the chain craft stores because the quality usually pales in comparison, but I was intrigued with the display of new brightly colored embossing folders, and then my eye drew to a pack of "Embossing Frames". 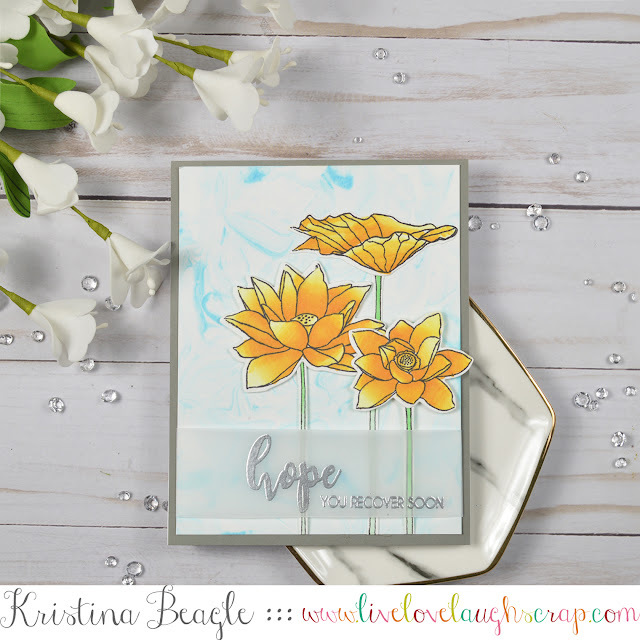 These frames are to be used with your embossing folders, to create a diffused portion where the embossing doesn't appear on the card stock, leaving an embossed frame around a smooth surface idea for stamping images or sentiments. 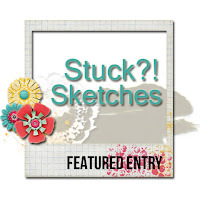 I've only seen such a product from one other place, a Sizzix / Tim Holtz collaboration. 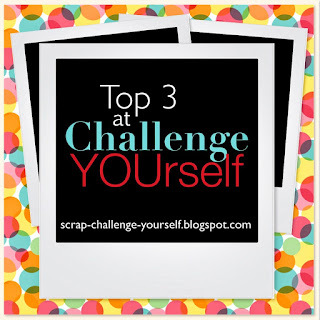 The Sizzix brand comes in packs of 3, with 3 different styles to choose from. They retail for $13 per 3 pack, making the Park Lane Paperie option much more affordable at $14.99 for a 7 pack. But do they compare? As you can see, the Park Lane Paperie embossing frames are smaller both in area and thickness. 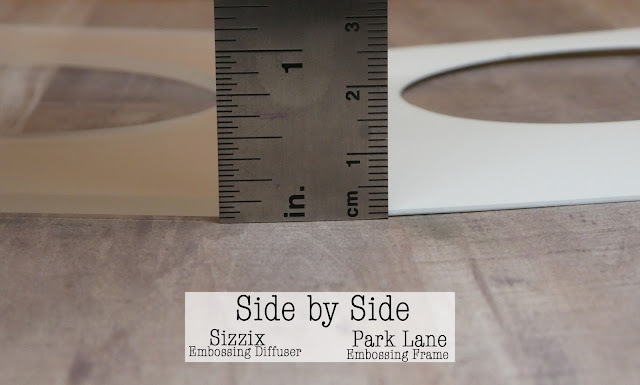 The Sizzix Diffusers are over 1/8th inch thick made from a sturdy Plexiglas material that barely beds, while the Park Lane Paperie embossing frames barely register on the ruler and are a flexible plastic material that could almost be folder in half if you really wanted to. 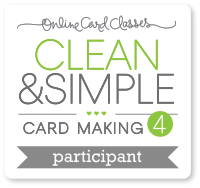 The Sizzix option is 4.5" x 6" where as the Park Lane option is your standard a2 size at 4.25" x 5.5". Personally I don't see the necessity or reason behind the extra half inch on the sizzix option. 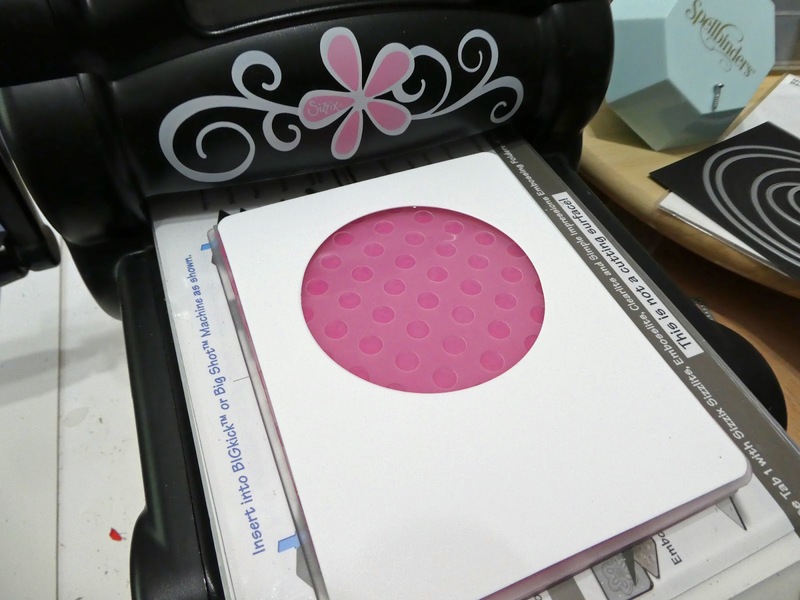 Most embossing folders are either 4.25" x 5.5" or 5" x 7" (which neither option would work with). But the real question is how do they perform. When I went to test out the frames I came on my frustration. No instructions. The sizzix option gives clear instructions on the plate sandwich you should use with your machine to achieved desired results. Their instruction were clear and accurate for my Sizzix Big Shot. 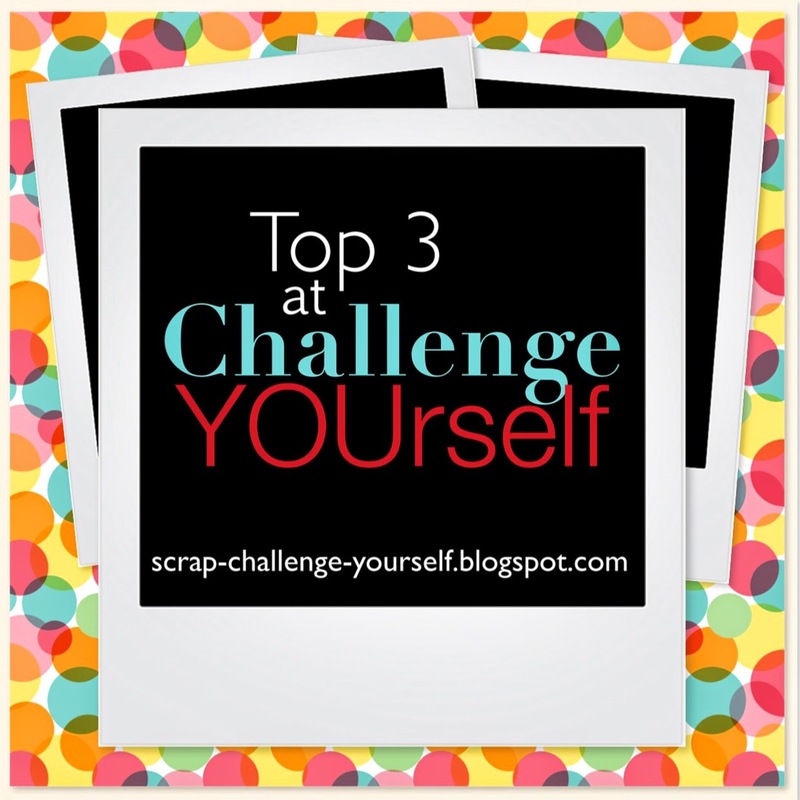 The Park Lane Paperie option however was going to involve some trial and error and plenty of wasted card stock. 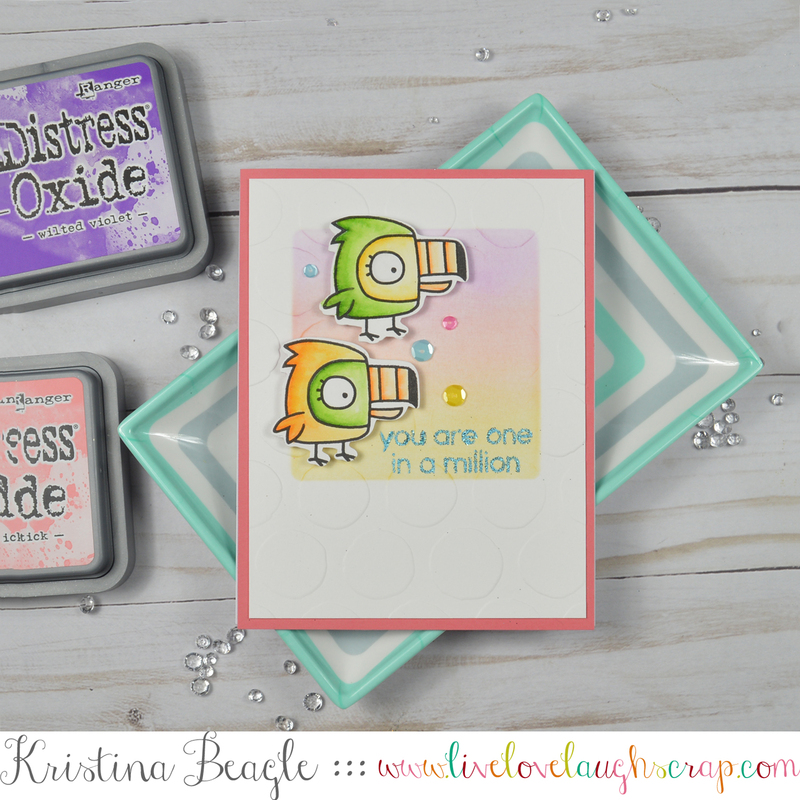 These can also be used with the cuttlebug however the embossing is not as dramatic. 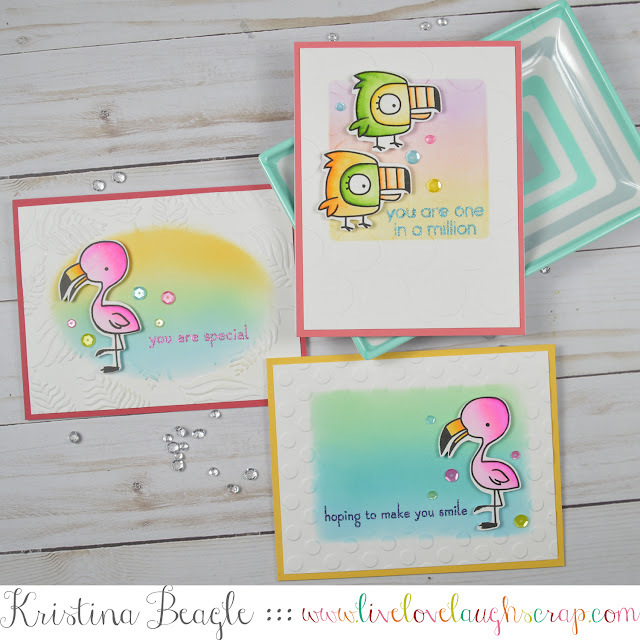 For the cuttlebug you will just use plates A and C with your embossing folder, paper, and frame in between. 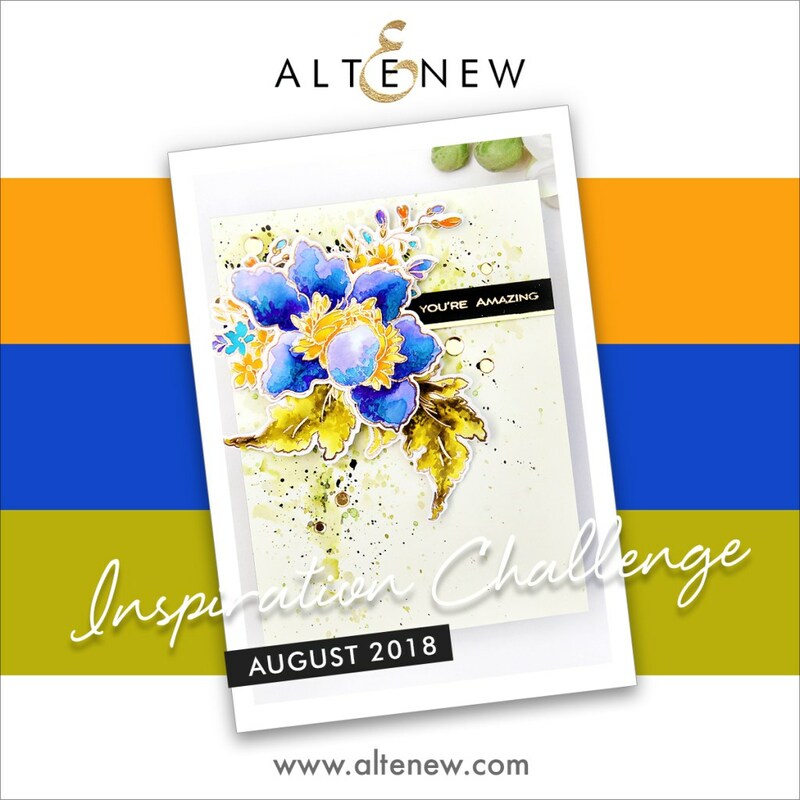 I used the embossing frames not only for their intended purpose, but also as a mask to do some ink blending onto the negative un-embossed space. 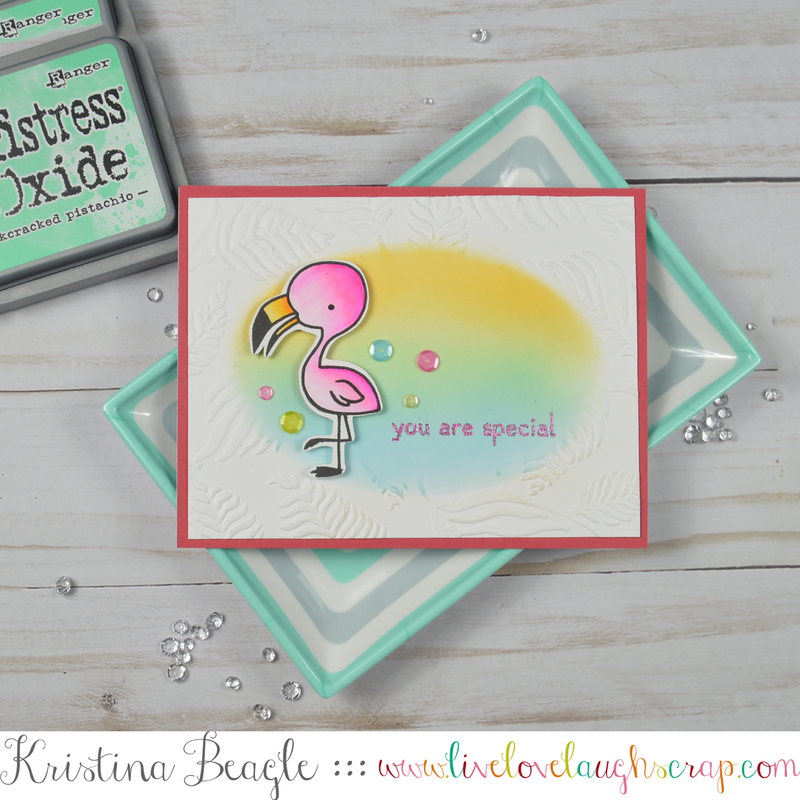 In this example I've used the embossing frame with a sizzix embossing folder and some heavier weight card stock. It left a nice 3d impression leaving the center area diffused and without embossing, allowing me to make that the focal point of the card. 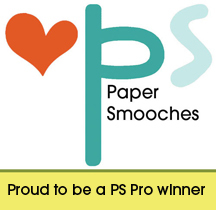 On this card I've used the embossing frames with a Park Lane Paperie embossing folder as well. You can see from the photo, the embossing is much more subtle and less of a 3d effect. I've only played with the one folder, so I can't give a full opinion on the quality of these folders, and whether this particular folder may have been intended to be more subtle. I do like the variety available, and will probably pick up a few more in the future. One thing worth noting, while doing some research for this review I did come across an obviously similar product available from Darice. It does appear as though the Darice line has been rebranded as Park Lane Paperie, at least in Joann Stores. So it may be safe to assume anything marketed as Park Lane Paperie is actually Darice. 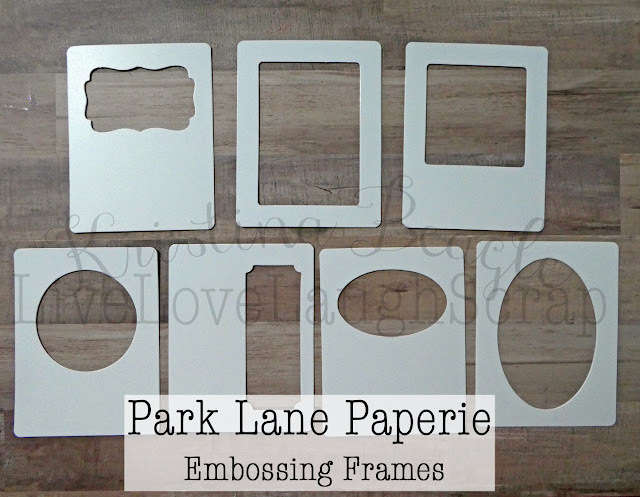 Overall, I think the Park Lane Paperie embossing frames are worth the small investment (if on sale or with coupon😂 ) to have another simple tool at your disposal to change up your card making. While they have the obvious con of lacking instructions, once you know the sandwich your set. I do also wish the product didn't require accessories to work at its best, however there are work arounds available. This 7 pack offers the best variety of design for the cost as compared to others on the market, of course, I am by no means an expert and this is just my personal opinion. And that's my 2 cents! Thanks for stopping by today! I hope you'll join me on my crafty journey, find more crafty fun on my Instagram and Facebook Page! 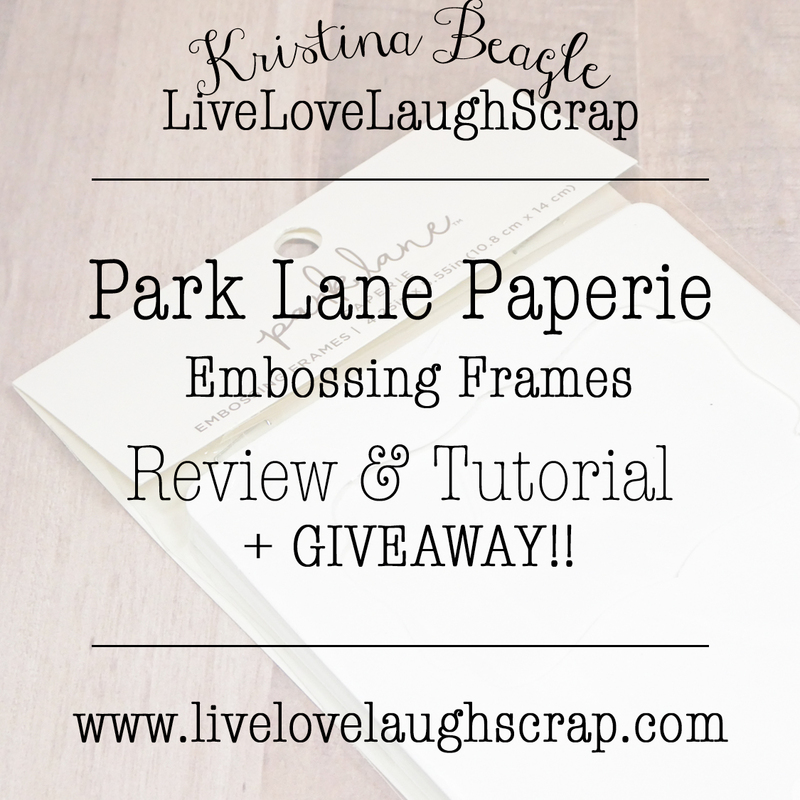 How would you like to win your own set of the Park Lane Paperie Embossing Frames + 2 of their new embossing folders? 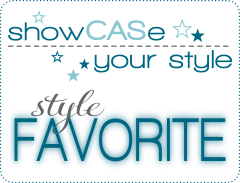 You can enter below using the rafflecopter giveaway. Open to readers with a US or Canada mailing address.